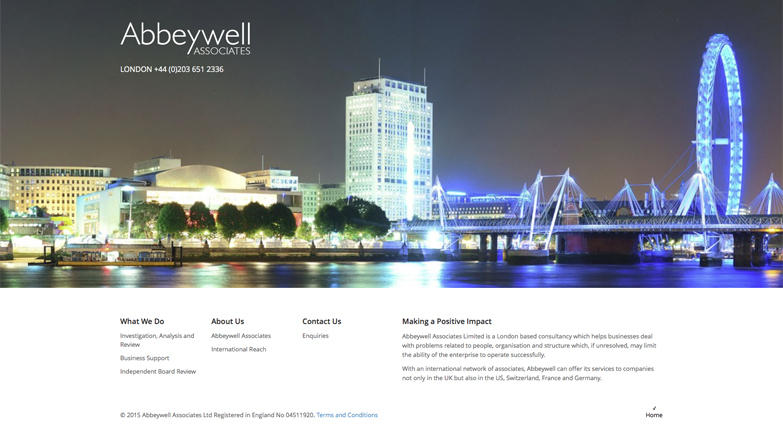 Abbeywell Associates Limited is a London based consultancy, which helps businesses deal with problems related to people, organisation and structure, which, if unresolved, may limit the ability of the enterprise to operate successfully. With an international network of associates, Abbeywell can offer its services to companies not only in the UK but also in the US, Switzerland, France and Germany. Status: Now complete this fully responsive website also allows complete access for the client to amend and expand the content as and when required.